It is not uncommon for individuals or businesses to find themselves involved in a legal dispute with another party. Disputes of this nature, such as a breach of contract, typically fall under what is known as civil litigation, which entails the use of courts or arbitrators for adjudication. For plaintiffs involved in a civil litigation matter, the objective is to right a wrong, honor an agreement, or to obtain compensation for an injury. Defendants in a civil litigation matter will want to aggressively protect their rights in opposing the plaintiff’s claim. Whether you are a plaintiff or defendant, hiring a qualified civil litigation attorney is crucial in achieving a successful outcome in your case. $1,650,000 trial settlement in Nassau County Supreme Court medical malpractice case for our client who was injured during the course of a surgical procedure involving the reversal of a colostomy. $1,000,000 pre-trial settlement on behalf of a police officer who was injured in an automobile accident involving a New York City Department of Sanitation truck. $500,000 trial recovery in Queens County Supreme Court for our client who sustained injuries due to a hospital’s failure to diagnose her ectopic pregnancy. $300,000 jury verdict in Supreme Court, New York County for our client who had sustained injuries when a commercial pizza oven exploded in a restaurant at the Port Authority Bus Terminal. $600,000 pre-trial settlement on behalf of our client who sustained injuries in an automobile intersection accident. $545,000 settlement – woman suffered injury when plastic surgeon attempted to correct a burn scar. $1,512,500 for the family of a man who died from an over prescription of Darvon. $750,000 settlement for our client who suffered ankle injuries as a result of falling in front of a store because of the store owner’s failure to remove an ice patch in the walkway leading into the store. $1,000,000 settlement from New York City in a medical malpractice case brought against the Health and Hospitals Corporation. $275,000 settlement on behalf of a client who suffered an injury as a result of a hospital’s failure to timely diagnose appendicitis. $425,000 settlement for the wrongful death of a young child as a result of alleged malpractice by a hospital’s emergency room doctor/staff. $310,000 settlement against a podiatrist who failed to properly treat our client with the use of antibiotics. $375,000 settlement on behalf of a client who was injured as a result of the improper administration of chemotherapy. $665,000 settlement for a young female medical student against an orthopedic surgeon who was claimed to have improperly performed shoulder surgery. $350,000 jury verdict against an anesthesiologist for performing a nerve block injection without obtaining “informed consent” from the patient. $1,000,000 pre-trial settlement on behalf of 21 year old man for injuries sustained in an automobile intersection collision. $375,000 for injuries sustained by motorcycle operator. $207,500 for injuries sustained by driver whose vehicle was struck in an intersection collision by a oil truck. $200,000 for injuries sustained by family members when their vehicle was struck by a intersection Navy vehicle. $1,100,000 settlement on behalf of child who was not properly diagnosed with lead poisoning. $395,000 settlement on behalf of individual who was misdiagnosed with an eye condition. $1,000,000 mediated settlement on behalf of a person who sustained a traumatic brain injury in a motor vehicle accident. $937,500 settlement on behalf of a widow on the eve of jury selection in a medical malpractice action against a hospital and internist who failed to diagnose her husband’s lung cancer which led to his death. $400,000 mediated settlement on behalf of a client who was given the wrong medication by a pharmacy. Determining the value of a client’s case is at the heart of what we do. There are many factors that go into the equation such as the nature of the wrongdoer’s fault, and the significance of the injuries sustained by our client. We take the time necessary to fully investigate and develop the facts of the incident to get a clear indication as to the liability of the wrongdoer. We work closely with our client to fully understand how the injuries have affected ones quality of life including lost earning capacity and future medical costs. Once we have a clear picture of the liability and nature of the injuries, we analyze prior similar reported cases including past jury verdicts to get a consistent range of the values we expect to be a sustainable verdict or settlement. 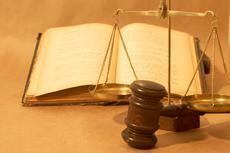 We always present all settlement offers to our clients and counsel them on the appropriate course of action. New York is a Comparative Fault jurisdiction. When 2 or more persons may be at fault for the happening of an incident, the law apportions fault between them and permits the injured party to recover their damages less their percentage of fault. For example, if the plaintiff was 25% at fault and the other party was 75% at fault, and the jury awarded $100,000 the plaintiff would be entitled to recover 75% or $75,000 of the full amount of damages awarded. Thus if you think that you may be partially at fault for an incident, we encourage you to contact us regardless, as you may still be entitled to significant compensation. What Should I do if I was in a Car Accident? Being involved in a car accident turns into a daunting task dealing with all sorts of insurance forms and reports. If you were involved in a car accident, it is extremely important to contact a lawyer trained in handling these cases. We have handled an extensive number of these cases over the past 25 years. It is extremely important to obtain prompt medical treatment if you have been injured. Also, under NY law, a No-Fault application needs to be filed within 30 days after the accident to preserve your medical and loss wage benefits. Keep in mind that working with an experienced attorney, such as Adam Demetri at our firm will even the playing field between you and the insurance carrier representing the motorist who caused your injuries. There are many factors that go into determining whether a person who has been injured has a viable case. There must be a liable party who acted negligently, ie, failed to act, as a reasonably prudent person would have under similar circumstances. This is the issue of fault. New York has a bifurcated trial system for most injury related cases where the issues of fault and damages are separated. Only after liability or fault is determined to exist will a plaintiff be entitled to recover damages caused by the negligent party. We take the time necessary to fully investigate the liability of the offending party and take necessary action to maximize the potential for recovering the damages our clients deserve. Medical malpractice is a highly specialized area of law. Adam Demetri has been successfully representing victims of medical malpractice for over 20 years. Malpractice is the failure to act as a reasonably prudent doctor or hospital would have acted under similar circumstances. It is known as a deviation from the acceptable standards of care that causes harm to a patient. When a prospective client who may be the victim of medical malpractice contacts us, we take the time to fully understand how the client was treated and whether there were any deviations in the standard of care. We consult with appropriate experts to assist our client in obtaining the compensation they deserve. We take great pride in obtaining justice for victims of medical malpractice. There is no finite timeframe when a case will be concluded. The court system is often overworked and the wheels of justice can move slowly. We however will move your claim as quickly as reasonably possible keeping in mind that sometimes quick justice is no justice at all. For instance, many times an insurance carrier may lowball an injured party early to get a quick, cheap settlement. We believe that it is important to stand up to the insurance companies and reject such tactics by letting them know that we will fight for the compensation our clients deserve. We will take the time necessary to fully evaluate how the injuries have affected your quality of life. We will pursue all reasonable settlement discussions and keep you informed along the way.